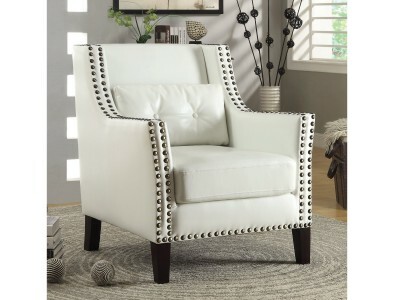 • chic chair features a FRENCH SCRIPT PATTERN PRINTED ON BEIGE FABRIC, A SLIGHTLY CURVED BACK WITH R..
An effortless style, this accent chair features button tufted details, bronze nailheads and is avail.. 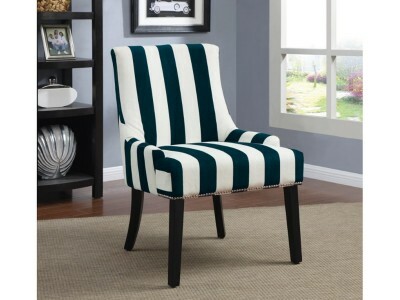 This stunning and chic DEEP NAVY AND WHITE STRIPE PATTERN chair, features a SILVER FINISH NAILHEAD T..
FLORAL WHITE, GREY, BLACK PATTERN features SKINNY TAPERED LEGS IN BLACK..
DIMENSIONSWidth	22.5 inch(es) / 57.15 cmHeight	30.75 inch(es) / 78.11 cmDepth	26 inch(es) / 66.04 cm.. 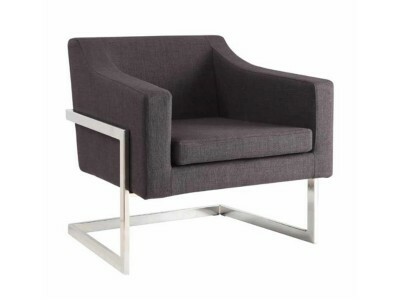 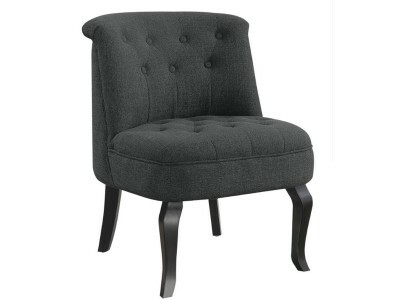 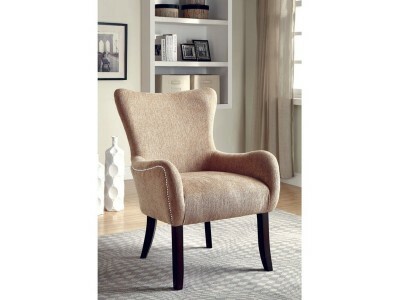 RELAX AFTER A LONG DAY WITH THIS TRADITIONAL WING BACK CHAIR AND OTTOMAN SETIT FEATURES A TUFTED BA..
With a CONTEMPORARY DESIGN WITH CHROME BASE , this chair is UPHOLSTERED IN A SLEEK GREY LINEN-LIKE F..
• THIS CHIC CHAIR FEATURES A DOUBLE BRONZE NAILHEAD TRIM , AND IS UPHOLSTERED IN GREY CHENILLE, WITH.. 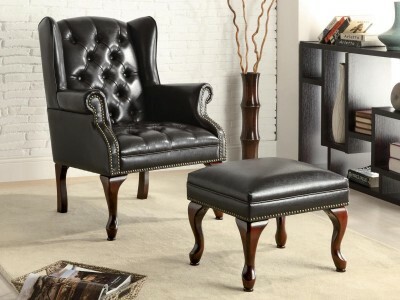 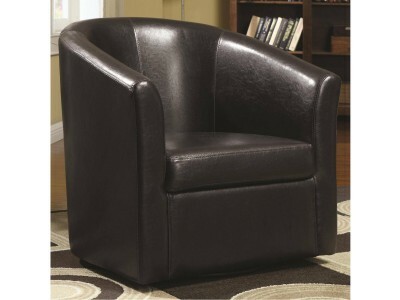 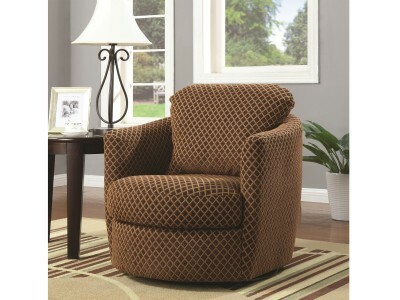 Featuring a BARREL BACK, this SWIVEL ACCENT CHAIR comes in a DARK BROWN LEATHERETTE..